Rip DVD and Convert Videos for iPod Touch/Nano/Classic. Any DVD Converter for iPod is a iPod video converter that converts video files, YouTube videos, movies and DVD's so you can play them on your iPod. This Video Converter and DVD ripper software can convert all types of video files (avi, divx, xvid, flv, x264, vob, mpeg, DVD's, YouTube, etc.) into the proper video formats (MPEG-4, H.264) that play on the iPod. 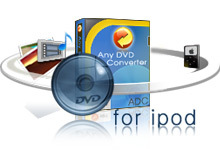 With Any DVD Converter for iPod, you can convert videos for any type of iPod that plays video. This includes the new iPod touch, iPod nano and iPod classic in addition to the 5th generation iPod. You can also convert videos for the iPhone. With Any DVD Converter Pro, you can rip DVD and capture video files from DV, and convert the movie to MP4 videos for your iPod. Any DVD Converter can also convert various video formats to iPod MP4 video, at fast converting speed and with excellent video quality. Any DVD Converter can rip DVD and capture video files from DV. Any DVD Converter customizes the output profile with formats adapted for iPod, iPhone, PSP, Zune, Apple TV and mobile phone. iPod classic, iPod nano and iPod touch can play MPEG-4 (H.264/MPEG-4 AVC) and QuickTime videos. 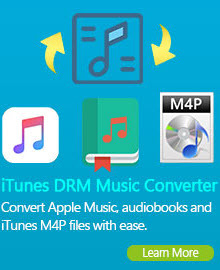 If you want to rip DVDs to iPod movies, and convert FLV, AVI, MPEG and other types of videos to iPod movies, you can turn to Any DVD Converter Pro, it’s versatile DVD iPod converter. What can the DVD to iPod Converter do? And convert avi, asf, mov, mp4, 3gp, m4v, rm, rmvb, flv, mkv, mpg and vob to iPod movies. Besides iPod classic, iPod nano and iPod touch, Any DVD Converter can also convert DVD to the formats that can playback on portable media players like iPhone, PSP, Zune, Apple TV and mobile phone. Another brilliant feature of Any DVD Converter is downloading YouTube videos and Google videos. The program will convert the downloaded video to specified format and save it on your computer ready for watch. iPod is the brand of portable media player (PMP) designed and marketed by Apple Inc. The iPod family has now expended to several generations, including iPod shuffle, iPod mini, iPod classic, iPod nano and iPod touch. As of September 2007, the iPod had sold over 110 million units worldwide making it the most popular digital audio player series. iPod software worked with Windows and Macs. Fifth and sixth generation iPod classics, as well as third generation iPod nanos, can additionally play MPEG-4 (H.264/MPEG-4 AVC) and QuickTime video formats, with restrictions on video dimensions, encoding techniques and data-rates. DVD to iPod Converter can convert DVDs to MP4 movies for playback on all kinds of iPod that support videos. DVD-Video is a standard for storing video content on DVD media. In the U.S., mass retailer sales of DVD-Video titles and players began in late 1997. Though many resolutions and formats are supported, most consumer DVD-Video discs use either 4:3 or 16:9 aspect ratio MPEG-2 video, stored at a resolution of 720×480 (NTSC) or 720×576 (PAL) at 29.97 or 25 FPS. Any DVD Converter supports both 4:3 and 16:9 aspect ratio DVDs. DVD-Video supports features like menus, selectable subtitles, multiple camera angles, and multiple audio tracks. Using Any DVD Converter, you can select subtitles, chapters, angles and audio tracks to be converted. You can choose your favorite segments of the DVDs to be converted for playback on iPod. 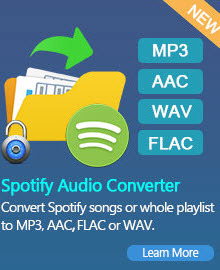 The audio of DVD video is usually stored in AC-3 or DTS formats, ranging from 16-bits/48 kHz to 24-bits/96 kHz format with monaural to 7.1 channel "Surround Sound" presentation, and/or MPEG-1 Layer 2.